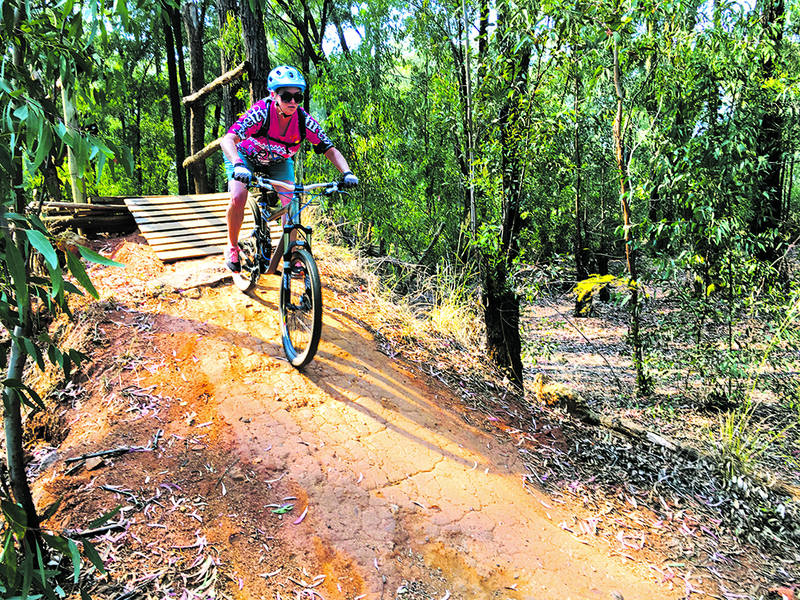 Our resident crazy tequila drinking mountain biker ventured to well-known Big Red Barn trails in Olifantsfontein. Check out her experiences below! boards … but it seriously gave me a giggle! The way they have named some of these trails really made it more adventurous for me, like the one ‘Back To The Moon’ whahaha, I’m sure we have all had that experience THAT ONE TIME … anyways, what was so great for me was seeing so many riders constantly at any given time at any given trail, this really made my day to see the sport where it is. but the sweat started pouring out of me more than usual, so I did what any normal rider would do, take off my riding jersey … yes, to me evening riding in a sports bra is classy AF! Shame even some riders asked if I was OK! Eventually we got back to THE BIG RED BARN and I swear I could sit there for hours watching people. They have literally everything; got the WHOLE family, I saw there were nice running trails, seriously loads of MTB routes, they even have acrobranching, a massive zip line, a huge trampoline, and cycling gokarts for parents and kids, like this is a family fun place. discounts: 10 tickets are R450/p or 20 tickets: R800/p, and then for like a every now and then rider it costs R50/ride/ for adults, children under 12 are R30/ride and then for the pensioners/students its R40, which is seriously not badly priced for the amount of fun you can actually have. If you’re keen, the routes are as follows ROUTE 1: Distance 36km, ROUTE 2: Distance 17km, ROUTE 3: Distance 12km, ROUTE 4: Distance 4km and then ROUTE 5: Distance 700m, but if you’re going hung over like I did you might end up doing more or less due to getting lost and just going with the flow. If you’re going there for a ride, let me know what’s your thoughts, I’m definitely keen to give it a go again, and not hung over.